I would have to disagree here. Just like a river. Atoms, molecules and electrons can and will move ever so slightly to create the path of least resistance. I disagree here. At the atomic level, any atom behavior is theoretical. My personal feeling is, at least for cables, atoms in wire are random until they are exposed to an electrical current. If the current is constant then they will align to allow the current to pass with least resistance. This result is audible if the associated gear is adequate. You guys are getting so over my head. Uh. That science is hooey? Does this theoretical alignment and improved conductivity in the metal wire persist after the current is removed? If it does, then that would be an example of wire breaking in. 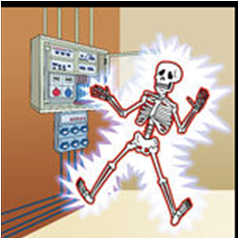 If the theorized alignment does not persist in the absence of external force (current, electric field), then that would not be an example of break in. At what point in y'alls life did you forget how to live? Seems that there are are those here that might offer most of us planes an insight. I guess if I owned a pair of boots I might be 3'2". Ron, to make it even funnier (yeah, it's a word), I lived in the city for over 25 years with this Texas drawl. I can hook you up with a pair of size 11. No charge for the toe jam. I must add the benefits to getting loudspeaker crossover out of the cabinets and as close to the amp as possible. It's cleared up sound in every system I have done this to. 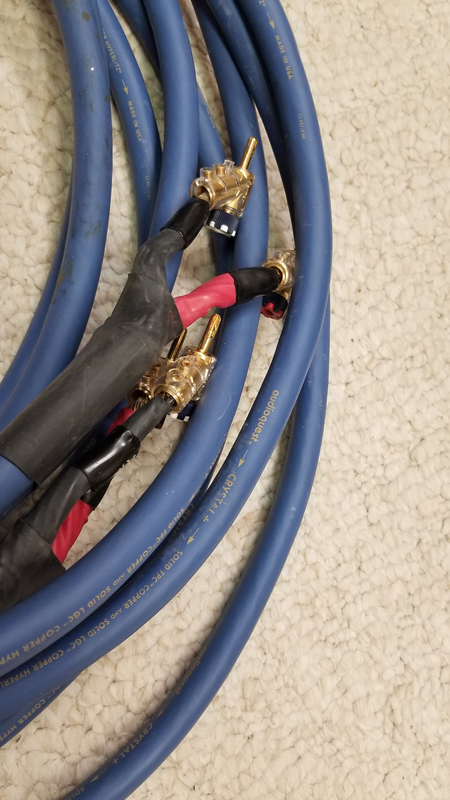 Doing this may have added cost with the extra run of wires yet a lot of people have bi-wire cabling (unfortunately without bi-amping) so it makes more sense to me to try it out. First off, going back to the day of my RT800's and the opening of the rabbit hole. 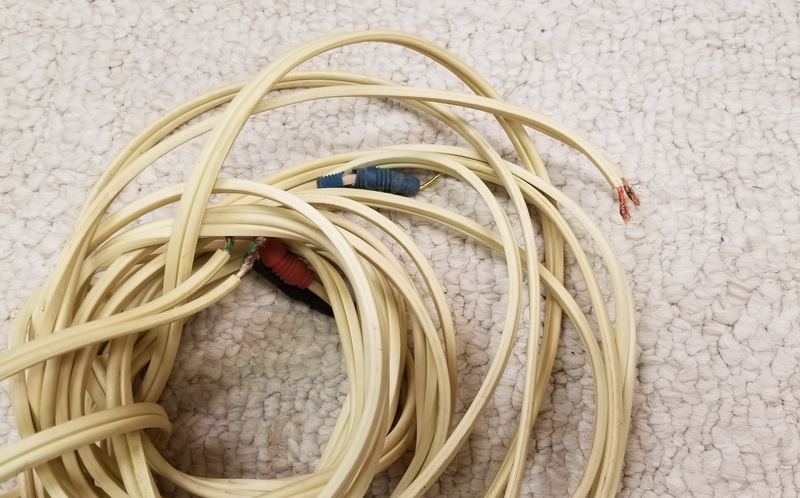 I went over to my mom's a few weeks ago and she said..."Do you have any need for this speaker wire" I set up a pair of bookies for her a long while ago and used my old monster cable..she has since re-arranged her living room minus the speakers....talk about a flashback. Anyway, this is where it started. I received a great deal at the time on some AQ Crystal and that transformed my system, this happened back in approx 1998. I've since moved on from the AQ but made me an instant believer. I meant to post this video in another thread a ways back. I was going to get a more controlled test with better recording gear but I've had this video sitting around so I figure why not. Sorry, but this goes off topic but still a cable thread, forgive me. During an older discussion of power cords, I swapped my AC-5's from the source, pre, and amp...to the stock cords. At the time I also tried a blue fuse in the preamp. You can't hear much difference in the fuse in the recording, but I can clearly hear the difference in the power cords, even using headphones on my smartphone. This is a track I'm very familiar with and the difference was noticeable. The track is "Don't Give Up" In my gear, Kate Bush's vocals have gone from just smooth and high to having a good bit of soul. The entire track sounds different, but given my recording gear at the time, the two lyrics to focus on are "somewhere" and "place", the "o" in somewhere, the "a" in place. The "a" actually sounds like "ay". 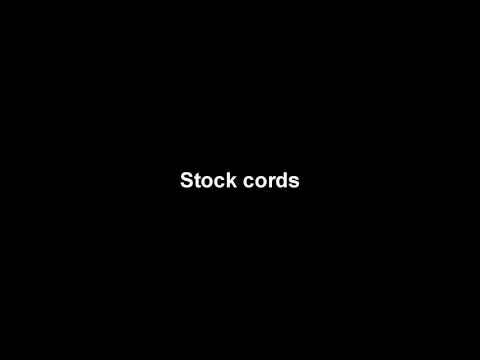 Stock cords sound flat with very small rise in pitch. AC-5's bring out the distinct rising pitch and the air in her voice. I tried to convince myself that the stock cords sounded good when I hear the video, but they are quickly trumped by the upgraded cords. Just some fun, but I want to say it kinda has some merit here. I've learned to respect, and trust, the opinions and experience, of others on this forum. As most of you, I started out with lamp cord (moved away from 22 gauge wire), or equivalent. Currently running MIT T2's on most of my rigs, based on recommendations from members of this group. Moving on to IC's now, and eventually power cords. And for this newbie's ears, I've heard the differences. Yes I was skeptical at first, but what the heck, decided to give it a try. That's the wonderful thing about this hobby - when you notice an improvement, you say to yourself, wow, that does make a difference! Shielded power cables and mains filters have just recently transformed the sound and visual on any of my set ups. I will not start a set up anywhere without them getting involved. Both hifi and DJ equipment. I personally have to change other things in speaker crossover again so am sure I will always start with those. I find greatest benefit from budget gear. Although I have upgraded internal power supplies in the equipment tested. 20+ years of self confessed ignorance 🤫 not like I didn't want to try or believe, just never bothered, how wrong I was. I even goe as far as direct lead to internal power supply, silver solder, silver/gold plated plug pins, Russell Andrews wall sockets. It may be worthy as I upgrade Amps/players in future. Call me crazy, but after only 8 hours these new Furez 12/4's have smoothed out nicely. They started sounding better after only 4 hours. They were very bright sounding like listening to an early CD. Fatiguing. I was quit disappointed with the results last week. I am much happier now. Thanks for the great input. 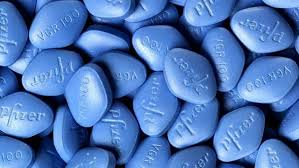 Ha Joe....it's a blue or red pill when it comes to cables. Well, buy some cables and You’ll stay in wonderland and I’ll show you just how far the rabbit hole goes down. These wireworld speaker cables are freaking me out. Detail is superb. Glad your digging 'em. Try this little experiment. Listen to the new cables for about a month, then put the old ones back in. You'll be shocked. Mornin' Joe....got the coffee pumpin' ? Yes. My daughter and I were playing Rush Exit Stage Left last night with the lights out and I think during The Trees she said "Dad I think I heard something behind me...". Careful guys, you'll end up like Jesse and Ken. We shouldn't have to be careful about pointing out the obvious. The issue should have been dealt with a long time ago.